A quick Google search on your name or that of a colleague will soon convince you that we all have a presence of some kind on the Internet. Often the information available will be fragmentary and outdated: it may reflect little or nothing of your professional work. Control over your online presence is essential if you want the Internet to signal your professional interests, skills and achievements. This can easily be accomplished by means of a personal academic website or blog and should be seen as part of the wider ecology of scholarship. Be you researcher, teacher or graduate student, a personal academic website will serve to establish your authority within your discipline by reinforcing the impact of your work, its importance to your area of study, and its relevance to the wider community. An attractive, well-maintained website will facilitate interaction with others who share your interests, those who seek your advice, and those who wish to employ your skills and talents. Inevitably, such interaction will promote your scholarship, pedagogy and communication skills, and it will demonstrate the relevance of your work. A personal academic website which incorporates a blog and careful links to social networks can do much to extend your audience, build your reputation and promote your career. The list of things that might appear on your website is long. Obviously, it includes your name, title, current position and institution, a recent photo, contact details (at least your public email address), your research interests, and a brief CV. Depending on your intended audience, other information presented on your personal academic website may concern current projects in which you lead or are involved, your teaching portfolio, higher degree students supervised (with links to their websites), conferences attended, awards, grants, and publications. A list of your publications should include links to those available in online journals or in other digital formats such as E-prints and PDFs. And it could be further extended with material such as embedded images, video, animations or audio files unavailable in printed media. A blog is a particularly effective adjunct to a personal academic website. Less formal than conventional academic fora, a blog is the perfect vehicle for demonstrating your enthusiasm, floating your latest brainwave, and showcasing your personality. It provides an easy way to respond to everyday events, answer queries or let off steam. A successful blog will assist your career in intellectual and public spheres alike. Furthermore, the traffic it will bring to your website will furnish comments, fresh ideas and contacts you might otherwise miss. Similarly, the inclusion of links to other relevant sites as well as to social networks such as Facebook and Google+ will expose your personal academic website to the widest possible audience. The addition of Facebook and Google+ ‘like’ buttons, or perhaps simple ‘like’, button will encourage readers’ confidence in your presentation. Obviously you should be wary of associating your work with inactive or inappropriate blogs or social media activity. Whilst it is possible to build a personal academic website yourself from the ground up this demands time and considerable computing expertise. These are commodities that few researchers or teachers have in great supply. It is common for personally constructed and hosted websites to languish and degrade over time — not a good look for an otherwise up-and-coming academic. It may be that your institution provides a space on a central website where you can create and edit your own pages using an easily operated Content Management System (CMS). This can be very satisfactory but there are often restrictions on what content, text, photos, files and links can be included, and limitations on the style and format that can be adopted. Many will find such systems inflexible and frustrating. A middle path on the continuum between these two extremes is to set up your personal academic website using an independent provider like WordPress, Google Sites, Weebly, Squarespace or Zohosites. These work in much the same way as a university CMS, but give you considerably more freedom. Most if not all of the technical stuff is hidden and, after choosing a theme (encapsulating matters of design, layout and style), you have to concern yourself only with content. All of these platforms offer free access, hosting, themes, blogs and other tools. There are fees for advanced components, functionality and support, but they are quite affordable. For even greater flexibility and at minimal cost your best option is to deploy WordPress on your own account. It’s free to use in this way and many web hosts offer a quick and simple means of installing it. Whilst there are other generic CMSs, the standout for building a personal academic website really is WordPress. It has the greatest number of users, can be deployed with or without a blog, is highly extensible via thousands of free plugins, scalable, open source, well-maintained, supported via online documentation and user-forums, transportable, and offers a wide range of free themes. If you find the prospect of creating your own personal academic website too daunting then a useful start could be made by adopting a minimalist approach fostered by services such as about.me or LinkedIn. These are great for creating a more-or-less static page with a photo, contact details and notes. Liz Byrski – writer broadcaster and Senior Lecturer at Curtin University, Western Australia. Based around a WordPress blog this site makes active use of both Facebook and Twitter to interact with readers. It considerably extends her profile page on the university’s own website. 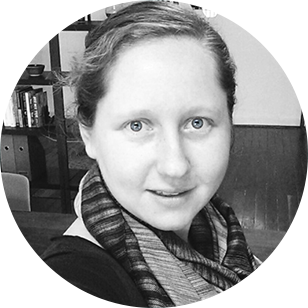 Angela Axworthy – post-doctoral research fellow at the Max-Planck-Institut für Wissenschaftsgeschichte in Berlin. Impressive visual design and a minimalist approach make this site built with WordPress well worth a look. Victor Roudometof – Associate Professor of Sociology with the Department of Social and Political Sciences at the University of Cyprus. A plain but effective, hand-built site, though it might have been done with less effort in WordPress. The content is comprehensive and easily navigated. Anna Feigenbaum – writer, researcher and lecturer in media politics, Bournemouth University, UK. An informative profile on the academia.edu platform which showcases her books, papers and media articles. David Gauntlett, Professor of Creativity and Design in the Faculty of Media, Art and Design, University of Westminster, UK. David lets it all hang out on this busy WordPress website which incorporates a blog with links to Twitter, Google+, LinkedIn, etc., etc. Dr Christopher Lind – Neurosurgeon, professor at the University of Western Australia, and President of the Neurosurgical Society of Australasia. Dr Lind’s website is an excellent example for the academic who’s web presence needs to appeal to a range of different audiences and purposes. He presents his academic research profile aimed at fellow doctors and academics, while also managing to present a friendly, approachable, yet authoritative face to potential patients who may visit seeking information about their surgeon. Rachel Robertson – writer, editor and Senior Lecturer at Curtin University, Western Australia. Built with WordPress, Rachel’s site is dual purpose; to showcase and promote her books and to present a simple professional profile written in her own words. As a writer of Memoir, Rachel has appropriately chosen quite a personal tone for the website content, and an arty design style to match the title of her latest book. Professor Brian Cox – particle physicist, Royal Society research fellow, professor at the University of Manchester and media personality. When you are as famous as Prof. Cox perhaps all you need is a Facebook page! Wikipedia and the BBC take care of the rest, for him! Follow-up articles to this one will offer a few tips to keep in mind whilst building your own personal academic website, and will consider a few plugins and adjuncts for WordPress that will make your job easier. Interesting website but I just want to point out a little clarification for Katy Pearce. Although I do not know the researcher I have lived and worked in the Washington, DC region for most of the last five years. There is no University of Washington DC, USA. The University of Washington is in Washington state (northwest USA) and there is a separate university in Washington, DC (east coast of the USA), called the University of the District of Columbia. Nicely spotted Xavier. I’ve made the correction to University of Washington’s location. Thanks! I do! Nice work Jarek 🙂 I really like the clear and prominent welcome statement on the homepage – it makes it obvious what the site is all about at one glance. The testimonials are effective, and breaking content into chunks as you’ve done on the homepage makes it easy to scan, filter and click. Great example. Thank you for this great feedback Maeve! Thank you for some of the example of academician website that you’ve include in here. I noticed that most of them are well experienced academician. I would like to know or maybe you can suggest what can be include/ highlights for those who has just join the academic world, like less than 3 years experience. What would be best to highlights in the website? Because the CV content obviously wouldn’t have strong/ much to say.